Phoebe Starbuck has always adjusted her sails and rudder to the whims of her father. Now, for the first time, she’s doing what she wants to do: marrying Captain Phineas Foulger and sailing far away from Nantucket. As she leaves on her grand adventure, her father gives her two gifts, both of which Phoebe sees little need for. The first is an old sheepskin journal from Great Mary, her highly revered great-grandmother. The other is a “minder” on the whaling ship in the form of cooper Matthew Marcy, a man whom she loathes. 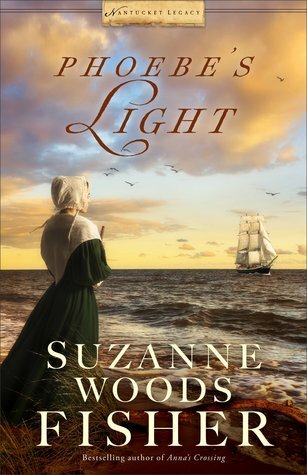 An interesting start to Suzanne Woods Fisher’s new series, Phoebe’s Light delves into the history of Nantucket Island with great historical detail of its Quaker and whaling roots, complicated relationships, and the experiences of two strong women separated by a century, plus some entertaining mystery and adventure. Page after page, it proves a pleasure to read, and I heartily enjoyed this Nantucket Legacy novel. One of Fisher’s books hasn’t disappointed me yet, I’m so glad, and by the end, Phoebe’s Light definitely left me looking forward to continuing this series with Minding the Light—I can’t wait. In the meantime, it’s a perfect choice for readers of historical fiction, especially those interested in the Quaker faith, and I recommend it. Thanks to Celebrate Lit, I received a complimentary copy of Phoebe’s Light and the opportunity to provide an honest review. I was not required to write a positive review, and all the opinions I have expressed are my own. 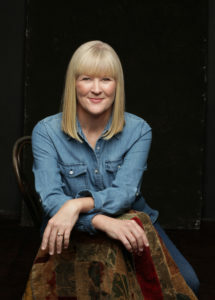 Suzanne Woods Fisher is an award-winning, bestselling author of more than two dozen novels, including Anna’s Crossing, The Newcomer, and The Return in the Amish Beginnings series, the Bishop’s Family series, and the Inn at Eagle Hill series, as well as nonfiction books about the Amish, including Amish Peace and The Heart of the Amish. She lives in California. Petticoat Row stuck in my mind, and eventually became the hook to contract a series of historical fiction with Revell Books. The Nantucket Legacy series covers the rise and fall of Nantucket’s whaling period, when it became the wealthiest port in the world. 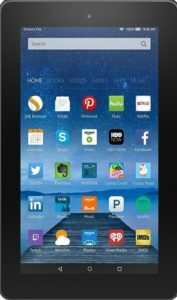 To celebrate her tour, Suzanne is giving away a grand prize of a Kindle! !